My friend Željko, a wine blogger and journalist from Osijek, had an excellent idea: let’s exchange six bottles from our wine regions. After tasting four Slavonian reds I found one beautifully simple Pinot Noir that easily go down the throat without any food, a kind of wine I would love to order in a bar instead of beer. Željko was quick, in less then a week six Slavonian wines arrived in my home in Pula. 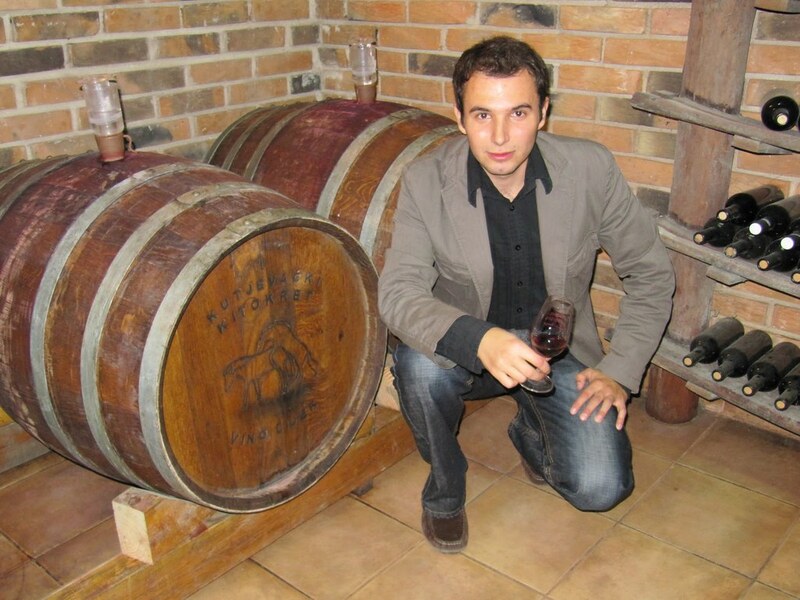 In few days, I sent him six wines: 2010 Rado Kocjančić Vitovska and 2009 Bajta Terrano from Italian Carso, 2010 Il Nappo Friulano from Friuli, 2009 Radovan Cabernet Sauvignon and 2009 Radovan Merlot from Istria and 2006 Domenis Pinot Blanc from Goriška Brda. In the box there were wines chosen by someone I have never met, from a wine region I barely know. It was exciting. When I saw Željko sent me four bottles of reds, only two whites and not a single bottle of Graševina (Welschriesling) – the predominant grape variety of Slavonia and maybe of the whole Croatia – I was delighted. I must admit I’m not a great fan of Graševina. 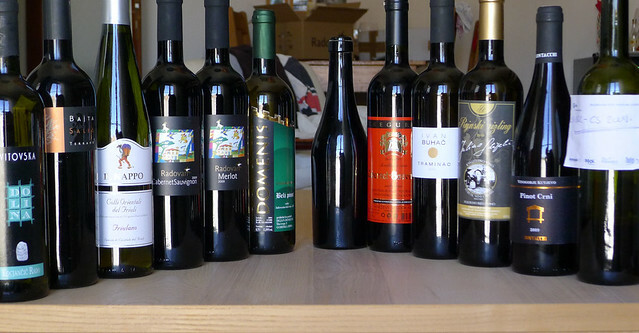 Moreover, all wines were from small, unknown winemakers that are impossible to buy in Istria. One Slavonian red that up to now impressed me a lot is amazing Merlot from young Domagoj Buhač coming from Ilok. It is fruity, as concentrated as Radovan’s merlot (one of the best in Istria), and has a great retail price of only 5 euros. In the summer I also love to drink nicely chilled Frankovka and Zweigelt, simple fruit forward wines. For example from Feravino. What did I find in the box? Ruby red going towards garnet. Immediately after opening the bottle there was a strong, almost unpleasant vegetable aroma, like crushed green almonds, that I never found in Istrian Cabs. But luckily after few hours the green goes down and the fruits come out (raspberries, dried plums) together with subtle tertiary aromas of black pepper, cocoa, and even graphite that agreeably tickle the nose. I love how sweet and ripe is contrasted by green and refreshing. Unfortunately, the sweet juiciness and complexity is not carried in the mouth where the wine betrays you: the body is just too thin, diluted and unconvincing. In the mouth there is too much wood that put smoke and caramel in the finish. Still, soft tannins and great acids make it a very quaffable spring wine. Made from dried grapes, semisweet. Ruby red towards garnet. The nose starts with dried red flowers, roses and dried wood then some acetone appear that hits you in the head. I got bored very quickly. In the mouth it’s like cherry liqueur (but the liqueur is better), alcohol is noticeable while equilibrium is not outstanding beacuse the acids are really too low. The aftertaste is bitter almost as Jagermeister and the bitter doesn’t get contrasted with enough sugar. What the winemaker wanted to make? 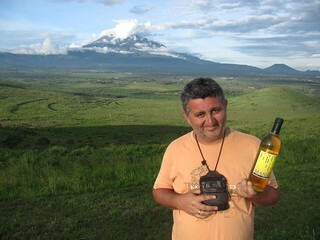 A dessert wine or bitter digestif? Ruby red towards violet red. Aroma is very old-fashioned, like some grandmother’s perfume: roses, lilies and, very strange, chestnut honey. In the mouth it is disappointing, probably because it has already passed the peak. The acids are just too blunt, there are practically no tannins and the finish is unpleasant bitter. Put it shortly, it tastes like diluted fruit syrup fortified with some grandma’s brandy. 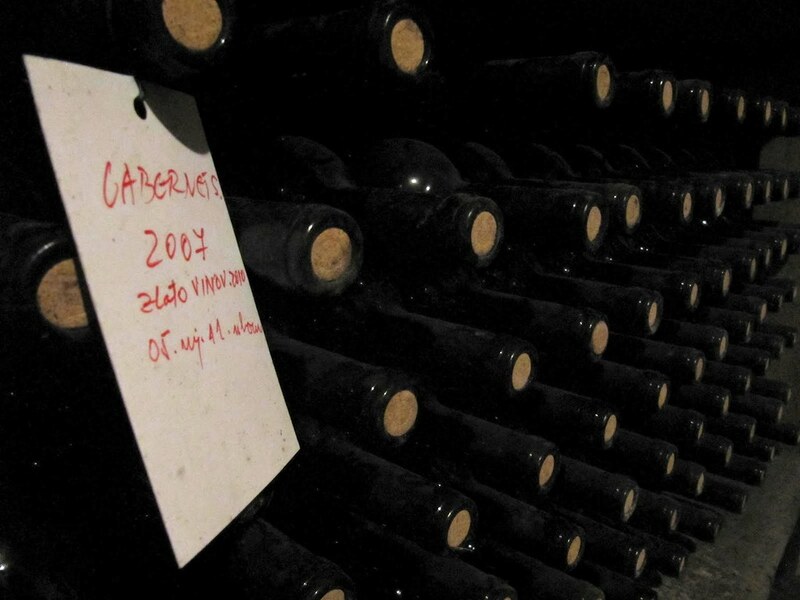 Maybe new vintages are better. Now this is a real gem! Ruby red. The nose is seductively sweet and at first fruit forward: there are dried plums, sour cherries and quince compote. All these strong fruit aromas would bore you very quickly if there wouldn’t appear the smell of barn full of fragrant hay on a hot summer day. There’s even a hint of smoke that adds to complexity of the nose. Very beautiful. After three wines that disappointed me in the mouth I was afraid the same will happen with this Sontacchi’s baby. I was wrong. All these nice juicy fruits are exploding also in the mouth where alcohol is unnoticeable, tannins are round and wood is well incorporated. Very smooth and easy drinking. In the finish succulently fruits appear together with pleasant bitterness and mouth watering minerality (terroir?). I prefer reds over whites and like drinking them with food. But sometimes I dream about a Croatian red that could easily go down the throat without any food, a simple wine to be ordered in a bar instead of beer. This is without any doubt Sontacchi’s Pinot Noir – an ideal red for any decent bar in Croatia. And there are some people who say it is impossible to make a good Pinot Noir in Croatia. Maybe not an important Burgundy-like wine, but I am more than happy with this “New World style” Pinot Noir from Kutjevo Valley. Love it and would drink it again and again… Great job Mr. Sontacchi! Looking forward to taste more Slavonian reds. Some photos courtesy of Željko Garmaz. Wine swap, what a great idea!